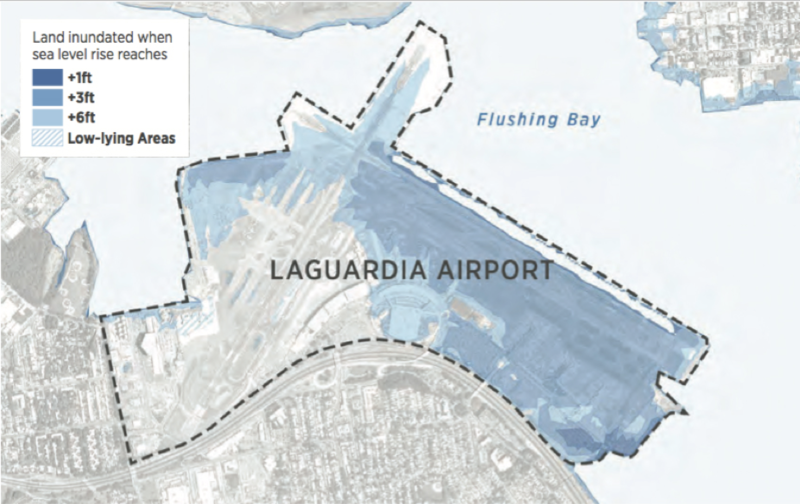 Drawing of LaGuardia Airport courtesy of the Regional Plan Association, from their report "Under Water: How Sea Level Rise Threatens the Tri-State Region"
Some airports face serious flood risks because they are flat by design and are located in coastal or riverine settings. Airports in New York are particularly vulnerable because they face both rising sea level and severe storms. Richard Barone, Vice President for Transportation of the Regional Plan Association has studied these airport flood risks and discusses them in this interview.